Florida is one of only 2 states (California) whose yacht brokers are licensed and bonded. All brokers at Jordan Yachts must be and are proud to do so. We take pride in our fiduciary responsibilities. To become a Florida yacht broker, you must go through a somewhat tricky process. Before you start, you need to have a job offer from a licensed and bonded Florida yacht brokerage. All brokerages including Jordan Yachts are always looking for talented and experienced salesman. Come around to us, and we’d be happy to talk with you. Check with the Florida Yacht Brokers Association for licensed brokerages. A division of the Florida Department of Business Regulation grants yacht broker licenses. Now if you have a job offer, the first step is to order material from the Florida Department of Business and Professional Regulation: Division of Florida Condominiums, Timeshares, and Mobile Homes. Call them at 850 488 1122 and order the free packet of materials which include a law book, application, and fingerprint card. The packet will take a few days to come. You could also instead print the online application and just ask to order fingerprint cards. While you are waiting for the packet or fingerprint card, the second step is to get bonded. You must apply to an insurance company which will cover you. A bond insures clients that if you fail your fiduciary responsibilities they will be reimbursed. You must qualify for a bond of $10,000 to become a yacht broker. If you have healthy credit, you should not have a problem. Sihle group is a common insurer. Their bond fee is $90. You must renew every 2 years. The insurance process is quick and can be done in a day via fax or email. Sihle is a popular insurance company to ask for the required bond to become a yacht broker. Third, you should now have the application and fingerprint card. Go to a police station and get fingerprinted. You will pay around $10 to the police. The fingerprinting simply means a police station volunteer will ink your fingertips and smudge your prints on the card. The volunteer will ink every finger but especially your thumb. They do this to verify your identity and put you in the police records. Take a drivers license or passport with you. 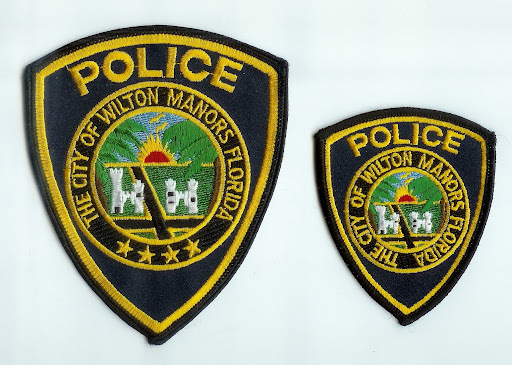 A local place in Ft. Lauderdale is the Wilton Manors police station. Check with the police station for dates and times. Go to a police station to get fingerprinted. Fourth, with your bond and fingerprint card, now fill out the application. You answer questions about your criminal history. You must have a clean record to be licensed or convince the state you have reformed. You also need your employing broker of record to sign on and sponsor your application. The broker is your employer, and his/her signature shows you are respectable in the industry. Finally, send your bond, fingerprint card, and application in with a check for around $550. You will get a 90 day temporary in a month and later your permanent license. To be a Florida yacht broker, you must pay a total of $650 dollars, have a clean record, be employed with a brokerage, and have healthy credit. Jordan Yachts wishes you good luck and hopes to work with you.